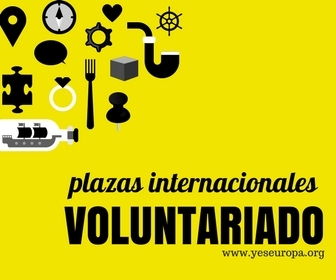 El European Youth Forum sigue buscando una persona para la gestion y organizavciòn de un proyecto que llevarà junto con el Parlamento Europeo en vista de las proximas elecciones en 2014. La fecha limite para presentar tu candidatura es el 30 de Septiembre asi que no pierdas tiempo! Entre los requisitos principales la organizaciòn busca personas con buenas capacidades de organizaciòn, planificaciòn y gestiòn, un nivel alto de inglès y posiblemente nociones de francès. Una vez preseleccionado se te indicarà tambien el sueldo mensual. The European Youth Forum (YFJ) is the Platform of Youth Organisations in Europe. Independent, democratic and youth-led, it represents 98 National Youth Councils and International Youth Organisations from across the Continent. The Youth Forum works to empower young people to participate actively in society to improve their own lives, by representing and advocating their needs and interests and those of their organisations towards the European Institutions, the Council of Europe and the United Nations. The Forum is recruiting a Project coordinator for a project run in cooperation with the European Parliament. The project is a European Youth Event, taking place 9-11 May 2014 in Strasbourg. The EYE 2014 will comprise a large variety of activities run under the motto “Ideas for a better Europe” in a political, social and cultural sense. It will gather 5000 young Europeans. Ensuring that the European Youth Forum and its partners are well represented in the organization and the run of the EYE event. The duration of the contract is 9 months. The contract is full time (35 hours per week). The salary will be indicated later in the process as dependent on external funding. The successful candidate is be expected to start as soon as possible. Capacity to multi-task and coordinate several projects simultaneously, demonstrating excellent time management and organisational skills in stressful situations. Crea tu CV, haz clic en “My Curriculum” y pon la informacion relevante. Envia tu candidatura: haz clic en “Vacancies” y selecciona el puesto por el cual aspiras, y envia tambien una carta motivacional. Solo los preseleccionados seràn contactados para una entrevista.